Diagonal call spread is traded when you are slightly bullish but think that markets will remain within a range for the next 25-30 days. 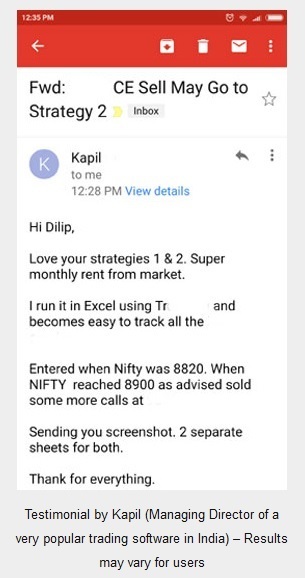 In simple terms when you think Nifty will rise but not more than 200 odd points during the month and stay there. So you must be thinking, why not trade call credit spreads which will also produces profits. Well if done right, Diagonal Spreads can make more money than credit spreads. We will know how. Note: Since they can make more than credit spreads, its quite obvious that these are also complex strategies and may not be suitable for a less experienced trader. Moreover it is more risky than credit spreads. I recommend that you first try credit spreads and then try your hand at diagonal spreads. Don’t think about the profits, think about the risks first while trading and you will be a good trader. How to create a diagonal trade? Note that I am discussing here the diagonal call spread only as an example. You can also play the diagonal put spread. Diagonal Put Spreads are same except you sell a near month put and buy a far month put for protection of different strike. Everything else remains the same. I hope you know about credit spread trade. The diagonal trade is somewhat same except the insurance you buy will be of different month (not of the same month). For example you can sell one call option of the current month. This option lets say expire in about 30 days. Now what will you do if you were to create a credit spread? 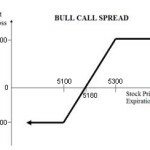 You would buy a call option of a higher strike price than the option sold to make it a credit spread. However in diagonal spread, you would not buy the option of a higher strike of the same month, but that of the next month. This option should expire after the option that is sold. It could be next month or next to next month. It depends on your view. However to keep things simple most traders sell option of the current month and buy option for protection of the next month. This completes a diagonal spread. Lets say Nifty is at 6500 and you think that in the next 30 days it will reach 6700 and stay there for some time. 1. Sell a current month call option strike 6700. 2. 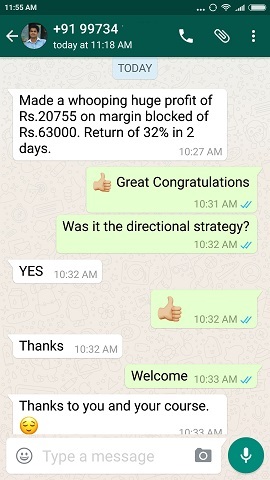 Buy next month call option strike 6900 or any other OTM strike. I will explain a bit more about this a little later. Selling the near month option will give you cash. But since you are buying next months option – your account will be debited. Depending on the value of the options sold and bought there will be a credit or a debit to your account. If the option you sold had more points that the options bought – your account will be credited. If the option you sold had less points that the options bought – your account will be debited. The ideal situation is – If you can get a credit to trade diagonal trade. Then we will learn how you can ride the markets for free. Therefore most professional traders prefer a credit while trading diagonal trade. What happens once you have bought a diagonal spread? 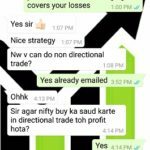 So you have done the diagonal trade and your are exited because you got money while doing the trade? This is a great situation. You keep the premium received from the sold option and because the volatility has increased you can also sell the bought option for less loss or even a profit. So essentially you made money from both the option sold and the option bought. Remember this a very rare occurrence though. If it happens consider yourself lucky. Your ROI will be significant. I cannot calculate as its very difficult to predict the next months option price. But one thing is for sure, if this happens you make more than you could have from selling a credit spread. Note: If expiry is near and you see you are making profits in both the options, you should immediately buy back the diagonal spread. Everyday is a different day in option trading and you never know if you will actually make such a good profit next day or on the day of expiry. You are making good money so you should exit. Don’t be cheap, do not wait for expiry to eat the full premium. You may end up in a loss. Scenario 2: Same as Scenario 1 except the volatility has decreased. This too is a good result. Since you have a credit, if the short option expires worthless there is no way you can lose money. But your profits depends on the value of the bought option. Because the volatility has decreased you may not get good cash back by selling it. However you have made a profit. But you could have made more had you done a credit spread. Still the ROI should be great. Now I had said earlier that I will explain a bit more about the bought option later. Remember you had a credit when you traded the diagonal spread? 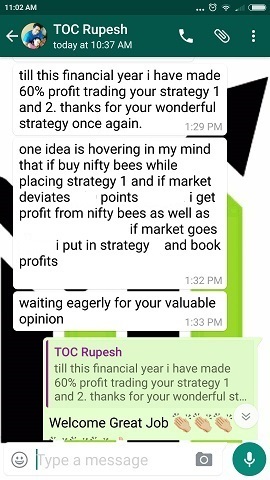 If you are not getting good money back by selling the bought option and your view is that the markets will keep going in the direction of the bought option i.e…. going up if a call, and going down if put, you can actually ride the markets for free. Why? Because you were already paid for the bought option by the option you sold. 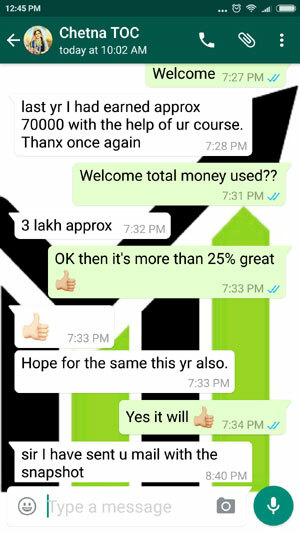 If you are right you can make unlimited profits from the option bought for â€œfreeâ€. What else can you ask for? If you ask me, I don’t take a risk. I sell it and look for another opportunity. But for aggressive investors, this may be a suitable strategy. You bought the call for free, so why not try to take advantage? Even if you sell it at cost to cost – with no profits, your ROI will be great. If volatility has increased, there are chances that the value of the diagonal spread has increased too. Frankly in this situation there is no perfect answer, except if it far exceeds the short, the spread will be in loss. Why? Because the short being in the money will start losing value faster than the long call gaining in value. The long call is for next month and is still OTM. The further the indices move away from the short strike, the more the loses. But if it has not moved too far, and the vega has increased, there are chances that the diagonal spread will make money. 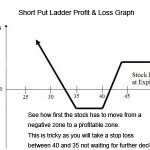 Ideally in this situation you should exit even if making a small profit. If it goes too far, I bet you will lose money. 4a) If volatility has increased: In that case if its still not gone very low than the short strike, it may be that you are getting good value by selling the long and buying back the short. Profits for sure. 4b) If volatility has decreased: It depends. But the profits will be little as the short may have lost most of its value, but the long also may have lost a substantial premium. Therefore you may not make good profits. If done for credit you should make a profit. In both 4a and 4b, if the indices has gone too far from the short strike and if the diagonal spread was done for debit, then the spread may be in huge loss especially if volatility has decreased. 1. Diagonal spread is a complex trade. It is not as easy as it seems because apart from the movement of the stock, it is also a vega (volatility) play. If the trader is wrong anywhere – he will lose money. 2. Profit comes but you will never know when to take it as greed will take over and you will feel more profits may come. You may be surprised to see next day if volatility crushes and your position is in a loss. 3. Diagonal spreads will produce great profits if the stock stays just below or above the short strike for a long period with volatility increasing. Well this happens often, but how on earth do you time this situation? 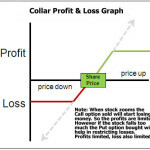 Therefore if you are beginning to trade in options its highly recommended that you start with credit spreads or collar strategy and move on to other strategies. You may in fact feel no need to trade any other strategy in your life time.